The two most common questions I get about mission trips are how to pack and how to raise support. I’ll address the first one in this post. I’ve been on a lot of trips and I learn something new every single time. I come across a new gadget, packing hack, strategy or just something I wish I had brought all the time. Packing for mission trips, or any international travel, is about packing smart for comfort and convenience. Some background. For nearly a decade, I traveled domestically for overnight to week-long business trips. Now, I travel internationally multiple times each year to a variety of countries, climates and cultures for mission trips. On my first trip, not only did I max out my suitcase with the weight (something I seem to do every single time), but I also brought the largest backpack possible crammed with all my photo equipment, laptop accessories and about anything else I could possibly want. As a result, I was uncomfortable and inconvenienced. The bag itself weighed over 35 pounds which was certainly not fun lugging around airports. It didn’t fit it the overhead on smaller planes and barely fit under the seat in front of me. Those days are over. I’ll break down the items I rely on into several categories. I’ll also provide some links to certain products for you to check out for more details. 1) These are my preferences. There is no perfect way to pack. Everyone has their own strategy. What you will see are some favorite items and best practices I’ve learned over years of domestic and international travel. Adapt to your own style. 2) The only wrong way to pack is to not plan. Over-packing, under-packing and last-minute packing are great ways to be a frustrated traveler. 3) You don’t have to go buy all these things. It’s taken a lot of trial and error and building up over the years gradually to get to where I’m comfortable packing with these items. 4) This list is not exhaustive, nor is it a checklist. These are important items. Some you may care more about than others. The suitcase can be an item of great anxiety or great convenience. Your bag preference will largely be determined by where you are going. If you will be in a metro city with paved roads and easy transportation from airport to hotel, traditional suitcases may work just fine. To save strain on your body and bag, you might look in to a spinner bag like this one from Samsonite. It has multi-directional wheels and rolls upright so you don’t have to pull it behind you. Instead, you can comfortably roll it beside you. If you are going to be in a place with dirt roads, it may be best to pack in a duffle or a hiking pack. I currently use the rolling duffle below and you can find it online here. I bought it at Costco for $99. It’s waterproof, has rugged zippers and comes with a smaller waterproof carry-on bag. I can use the straps if I need to carry it much easier than a suitcase and it squishes in cabs, vans or buses. I trust Samsonite. They have a great warranty and the product is worth the extra money. I go through at least one suitcase every 18-24 months because they get abused in transit. These bags tend to last a lot longer than the cheaper ones. Tip: Take a photo or scan in your receipt and warranty of Samsonite products in case you misplace your originals. Spread out everything you want to bring. Put 1/3 of it back. You won’t need it all. Roll your clothes. Here’s a pretty good instructional video if you’ve never done it before. Rolling saves space and cuts down on wrinkles. I’ve never cared to use rubber bands as the guy in the video. A tight roll is good enough. Bundle your clothes. I’ve only moderately attempted this. It’s helpful to prevent wrinkles for business travel, but can be inconvenient if you want something in the middle. Check out this how-to video for details. Pack your shoes toe-to-opening (the way you buy them in a shoebox) in plastic bags. You won’t want the germs from the public bathroom on your clothes. Some places sell fancy shoe bags, but I prefer a grocery store bag. I’ve also heard people even use the free shower caps you get from some hotels. Cram as much into your shoes as possible. This includes your rolled socks, underwear, bandanas, or anything else small. Use every inch of space you can. Limit your shoes. These take up the most space and weigh the most. Wear your heaviest shoes if you think you are concerned about the weight of your bag. Space Bags are great for consolidating your space. It makes your suitcase or pack so much easier to carry without it busting at the seams. Packing cubes are a hot, new item. They look convenient for keeping your clothes organized and easy to find in your bag. I bought a set from Bago and will try them out for the first time in a couple weeks. My order came with four sizes, a document protector and a VIP membership to get coupons and other travel tips. Tip: Pack a dryer sheet or two in your bag. It will keep your clothes (and your bag) smelling fresh. I keep one in my compression bag, especially one the way home! Bring a laundry bag. I put my dirty clothes in one bag to keep them separate from my clean clothes if I’m living out of the suitcase and can’t unpack somewhere. If I’ve packed right, I won’t have much to co-mingle with clean/dirty by the time I head home. Check the weather. It sounds so basic, but I’ve been stuck several times wearing short sleeves in the cold and wearing absorbent sweatshirts in the rain. Take 2 minutes and look at the 10-day forecast for wherever you’re going. Know your itinerary. Again, another no-brainer, but it has to be said. If you’re digging a water well, plan on bringing old shoes and clothes that you can throw away, leave behind or bring home dirty and not complain that they are ruined. Plan for the highs and lows. Just because it might be 80 during the day doesn’t mean you should leave the jacket behind. Plan on layers. You’ll be miserable if you have one massive coat in moderate weather instead of layers you can easily shed. For warm weather, don’t pack a lot of cotton shirts. Cotton will absorb your sweat and start to stink. Your favorite tee might not be appropriate. Be willing to leave it behind. For warm weather, do pack dry-wicking shirts. These pull the moisture off of your body, dry quickly and don’t smell near as bad as cotton. You can spend $$$ on name brands, or $ on a suitable off-brand. Ditch the jeans. Yes, you can wear jeans for several days. That is a glorious thing. But, limit yourself to one pair. Instead, bring light weight material that is versatile and comfortable. I splurged a bit on my favorite new pants, REI Igneo cargo pants. These have a four-way stretch and feel like you’re not wearing any pants at all. Quick dry underwear. Again, nothing cotton. As a guy, I love the Boxerjock boxer briefs by Under Armour. These roll up quite small, are polyester, wick sweat and dry quickly. This is all I wear regardless of whether I’m at home or on the road. Unfortunately, that’s not me modeling them in the link provided. Hats. For hot weather, bring a baseball hat or bucket hat to keep the sun off you. I’d rather have a big, floppy, goofy-looking hat than a sunburn. For cold weather, a beanie is a must. Shoes. Last year I destroyed my feet. After walking 5-10 miles each day and playing sports for several hours, my toes were all blistered and I was miserable. I had old running shoes that just didn’t get the job done. 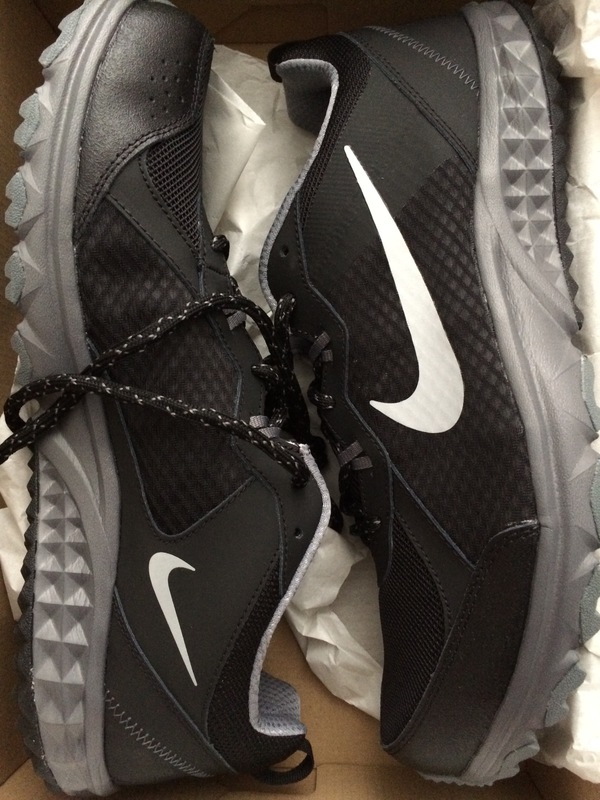 This year, I followed a recommendation and bought a pair of Nike Wild Trail shoes. If these are good enough for uneven ground and trail running, they had better be good for me in an urban context or rural village! 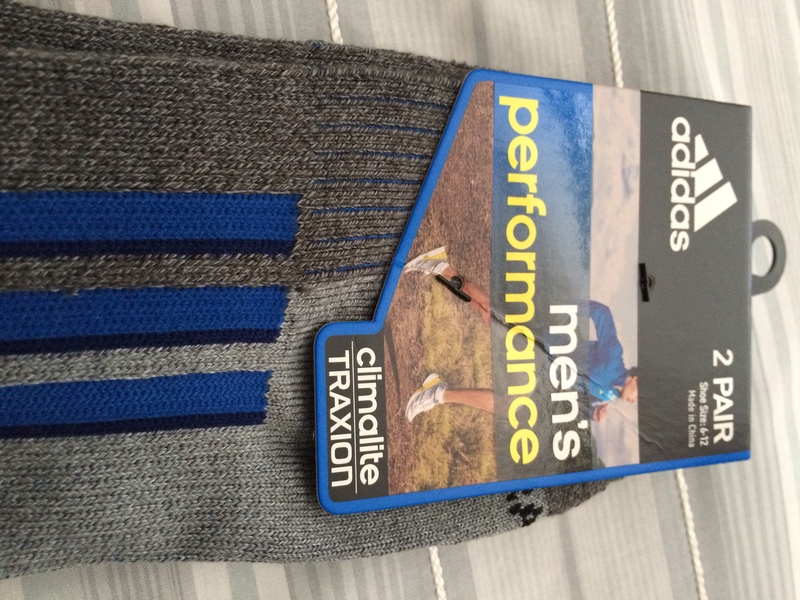 I also added some performance running socks that have padded arch support. I’ve worn these a couple times already and absolutely love them. For comfort while flying I’ll wear some slip on shoes. They are easy to get through airport security and I can wear socks with them to keep my feet warm at 30,000 feet. For warm climates, flip flops area a must. I also love Keen footwear for hiking, water activities, rainy weather and walking. They dry fast, have closed-toes and great grip. Also for flying, I typically wear long pants so I don’t get cold, or I keep a pair of athletic pants in my backpack to slip on over some light shorts. Wearing pants also allows me to wear some compression socks for extra leg comfort. If you’re a rookie traveler, make sure you follow the 3-ounce regulation for anything you bring in your carry-on. You don’t need an entire can of shave cream or bottle of hair spray even if it’s packed in your checked bag. Find the travel aisle at Target. Select Bed, Bath & Beyond stores have expanded travel aisles that are loaded with small size containers of your favorite products. For your favorite lotions, shampoos or conditioners, you may want to invest in a Go Tube. These guarantee you bring the right amount and avoid leakage. If you want to bring your own bottles, another way to avoid leaks is to put plastic wrap between the cap and bottle. Hand sanitizer. Other countries don’t value soap and water the same way you might! Tuck away a small bottle in multiple places. Wash cloth. Many international hotels don’t keep wash cloths in your bathroom. Tip: Wrap your bar soap with your wash cloth for easy packing. 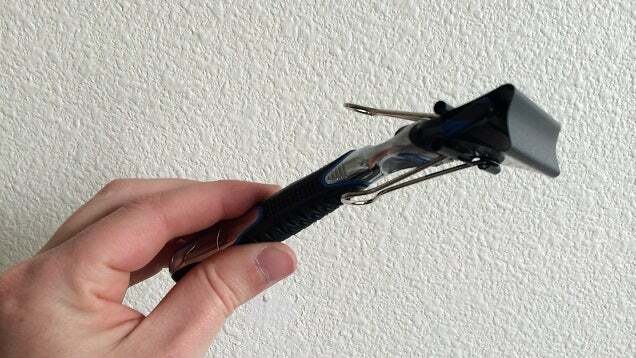 Use a binder clip to cover your razor to avoid cuts. Deodorant. I usually keep one in my toiletries bag and one in my backpack. Long flights and long days usually call for some backup. Axe or Old Spice body sprays are great as well. Toothbrush & toothpaste. Keep a travel toothbrush and small toothpaste with you. Again, after a long flight, some clean teeth and fresh breath make you feel like a person again. Chapstick. Bring a backup. Someone always seems to lose theirs. Travel towel. This is new for me, but I found times that I wish I had one in the past. I went with the Shandali Travel Towel. It dries fast and doesn’t take up much space. I would argue that this is one of the most crucial items you might bring. Your backpack/daypack is what you will probably have with you the most on your trip. Whether it’s to keep your comfort items for planes or store your camera and valuables in the city, your backpack is important. Choosing the right bag is hard. You want something spacious, convenient, light and unassuming. If you’re in the market for having your bag stolen, have a brightly colored camera bag or expensive leather sack around. I’m a backpack freak. I love getting a new bag. After 7 years of my reliable Victorinox bag, I’ve invested in a new one. After much scrutiny, my new bag is a Power Pack 3.0 by Outdoor Products. I can’t wait to fill it up and start using it. Did you see that is has a secret retractable slider for documents? How cool is that? For small outings in the mission field where I might be sight-seeing or just taking a couple things with me, I like to pack a small draw string bag that folds up. In my main pack, I keep the following while traveling. I strip this down considerably once I get to my destination. Carabiner clipped to the outside. I use this all the time for attaching a variety of items to my bag. Extra change of clothes (in case your suitcase gets lost). I’ve had the same extra (unused) pair of boxers in my bag for 7 years. It’s my own superstition, I suppose. I just know the minute I take them out is the minute I’ll need them! Neck pillow (inflatables are good for space, but not always the most comfortable). I substitute the inflatable for one that I can clip on the outside of my bag so it doesn’t take up valuable inside space. Travel wallet. This year I’m going with the Victorinox Travel Organizer. I have a smaller wallet that I will use around town, but this is substantial enough for my passport, American and foreign currency, cards and more. Headphones. I bring a pair of Bose noise-canceling headphones for long plane rides and also a small pair of earbuds for daily use while I’m prayer walking, traveling through town or having a devotional time. I’ve been on one or two flights recently that require a two-pronged adapter for you to use your own headphones, otherwise, you’re stuck using the standard airline ones (and you might have to pay for them.) You could also bring a splitter so you can share with a friend. Bible. I struggle with my Bible format on every mission trip. Book or app? App or book? I still like to have a hardcopy of God’s word with me, but if you leave that home in lieu of an app, there’s nothing wrong with that. I bring a smaller, paperback copy. Make sure you download the translation you want so you can read it offline when you’re not around wifi. Journal. On a mission trip, even if you aren’t someone who journals by nature, you’ll want to have something to record the events that happen, people you meet and ways God worked. Pilot G-2. It’s my favorite pen. I usually have a Sharpie with me as well. Laptop. I’m going without it for the first time on a long trip soon, but if you have work to do or need files, bring it along. 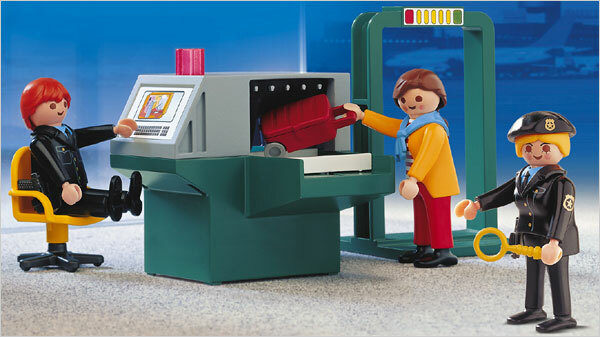 Make sure you have quick access to it going through airport security. Sunglasses, case & cleaning cloth. I wear my shades from sun up to sundown. I make sure I’ve got my accessories so they are well taken care of. Tile & Tile App. Another new product for me this year. I will be clipping this on the inside of my backpack in case it gets lost or stolen. Track the bag with your own search party by using the app and put out an all-call to the Tile community to help find it. Passport & passport copy. I’ll use the secret compartment on my backpack for my passport some of the time and I’ll be locking it up in my room once I’m at my destination. I keep a copy with me at all times and have it stored on my Evernote phone app also. Cash. Spread the wealth. Keep some cash on you, in your bag, in your room, on your buddy. Don’t put it all in one place. I’ve already covered laptops and tablets, but as a reminder, make sure you bring the necessary cables and chargers. Those can get expensive on the road if you lose or forget one. Camera. I’m a photographer so I bring my DSLR. But, I have stripped down to only bring one extra lens. If you have a small point-and-shoot, those work great. If you are just wanting some memories for your social media pages, your iPhone will due just fine. GoPro video camera. These are pricey, but awesome for the mission field. They are durable, small and high quality. Bring extra bags. I always keep extra Ziplocs or grocery store bags. They are great for dirty laundry, garbage, wet clothes or countless other things. I play sports on a lot of trips and there are times where I might be working outside in the heat on a construction site. I like to bring a roll of scented diaper bags like these below to put my sweaty clothes in if I change into dry clothes on the go. It protects my bag from stains and smells. Camping toilet paper rolls are a lifesaver. You can get them at outdoor stores like REI or Academy Sports or order here. I don’t want to be caught without it. I keep a roll in my backpack at all times. You can also take a regular roll of your favorite household toilet paper (much more comfortable), take the cardboard roll out of the middle and fit it in a Ziploc to stay dry. Duct tape. There should always be a roll handy on your trip. Hand sanitizer. I’ve already mentioned this once, but it’s worth stating again. Keep one in your day pack and one in your room as a backup. Wet Ones. I keep these handy to freshen up my hands, face, neck, etc. They should fit in a side pocket of your backpack easily. International plug adapter. This one has a couple USB ports for charging your phone or tablet. Crisp cash. Some places are really picky about accepting marked, wrinkled or ripped currency. Ask your bank for the newest bills they have. A spork. I love eating with chopsticks, but I also love watching my friends who don’t! Keep a plastic camping spork around for your meals. Card games. These are great for layovers, downtime and socializing with new friends. They don’t take up a lot of space and many people can play at once. Bring a regular deck of cards, UNO, Phase 10 or Five Crowns. 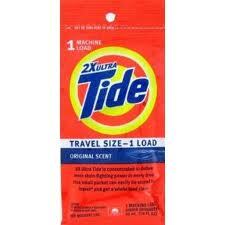 Tide packs. I bring a couple packs of single use Tide packs to do laundry in the sink. Knowing that I can do this cuts down on the clothes I need to pack. Clothesline. Get an inexpensive travel clothesline (I recently picked one up for a few bucks on Amazon. This is new for me this year. I always wish I had one because I can never find enough places in my room to hang all the things I wash midweek. Now, those dry fit shirts and shorts will dry in no time. Water bottle. You might want to bring your own water bottle to refill. Make sure it’s empty when you go through airport security and refill it on the other side. Personally, I don’t mind picking up a bottle of water from the grocery store and reusing that for a week in another country. I’ll grab a gallon or two or fresh water and keep it in my room for refilling, brushing my teeth and drinking. Translated cards of places you’ll visit complete with address. I go to one particular city every year. I don’t speak the local language and I visit the same places each year. I have a carabiner with laminated cards on it with those places translated into the local language. All I have to do is show the right card to the cab driver and off we go. These are important for both nourishment and comfort. If you’re going to be on a long, international trip with lots of food you aren’t used to, you’ll want to have a little something you love along with you. Sour Patch Kids. My favorite, so it makes the list. I stuff a bag or two in my suitcase :). Peanut butter. I like to bring a few single-serving packs of Jif To Go. I can’t tell you the number of times I’ve just had bread for breakfast. Having this around adds some great flavor and protein. For nourishment while traveling on airplanes, buses or subways, or just a break on the job site, I like to snack on granola bars. This also saves a lot of money. Pack ones without chocolate so they don’t melt and make a mess. I prefer something like Nature Valley or the white chocolate macadamia nut flavor of Clif bar. If I don’t think I’ll melt the chocolate, I love to snack on this from Trader Joe’s. Flavor packets for water will give you a nice break from plain bottled water. Pick out your favorite flavors and keep the packets in a dry spot or Ziploc until you’re ready to use them. Dump them in your water bottle and shake. Apps (I’m an iPhone user, so these links are largely from the iTunes App Store). Units Plus – Free converter for every unit you would need. I use the currency converter the most frequently. Google Translate or My Language Pro for translating. You will want to be connected to wifi to use free versions like these. 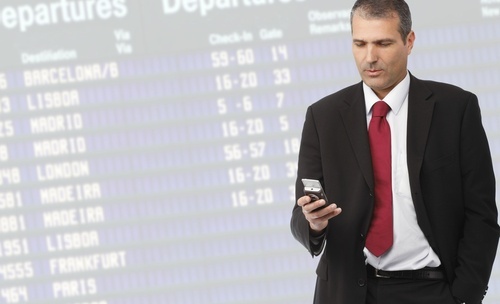 Transportation apps like Fly Delta will help you keep your itinerary and account on hand. Uber will help you find a ride. Hipmunk can help you plan your travel. Evernote – My favorite app of all time. Evernote is your ultimate notepad. It syncs from your cell, tablet, laptop, etc. Tip: Scan in a copy of your passports, driver’s license, insurance docs, itinerary and hotel confirmations so they are at your fingertips and don’t require copious amounts of paper. WhatsApp for text messaging and Skype for voice/video calls. Skype-to-Skype is free and Skype-to-mobile/landlines are very inexpensive. First and foremost, check out the CDC website for updates on vaccines you might need based on the country you are traveling to. Some countries require documentation for vaccinations, like yellow fever. Plan ahead so you get the shots in plenty of time and so your pharmacy does not run out. I’ve seen this happen before with malaria medicines that certain places might have to order. You’ll want to have the basic over the counter meds for your trip such as ibuprofen or aspirin for pain or headaches, Pepto or Immodium for an upset stomach, Dramamine, Sea Bands or ginger for motion sickness and maybe something to help you sleep like Tylenol PM or melatonin. Talk to your doctor about prescription medicine for traveler’s diarrhea and nausea or Ambien for sleep. I can’t sleep on planes, so in order for me to get rest, I need a little something extra. Tip: Everyone on your trip does not need to bring these things. Pool resources and money. If you are allergic to certain medications, make sure your team leader knows about them. Call your bank. Let them know if you will be using your credit/debit cards in another country. You will need to provide the dates and countries you will be going to. Check out your phone policy. I bring my phone for the simple purpose of using wifi. I don’t ever call from my cell phone. Calling is expensive and texting adds up quickly. You may want to have your plan in tact in case you don’t have wifi access. If you’re a trip leader, you may want to consult your missionary or agency partner about having a local phone or buying one in town with a local SIM card. See the apps section about WhatsApp and Skype. Stop your mail. If everyone who lives at your home will be on this trip, you’ll want to stop your mail while you’re gone so it doesn’t pile up or make your home a target for theft. Pay your bills. Yeah, I’ve been out of the country and missed a mortgage payment. Consult your online banking to schedule a bill pay service in advance. Say goodbye to your mama. Don’t forget to tell your family goodbye before you leave! You may want to plan a daily devotion leading up to your trip and also a daily Scripture reading plan while you’re on the ground at your destination. The best quiet times I’ve had were on the mission field. May God bless you on your trip! Do good work! I wish I could carry around a dodgeball and have it be socially acceptable to sling them at people when they are being goobers. 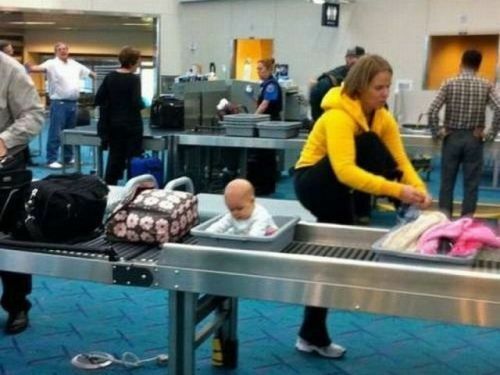 I would do this almost exclusively at airports. I’m traveling this week for work as I have done a lot for the last year. Spending time in airports really gives you a scary view of society. The dodgeball idea would help keep people in check. Hey lady-who-is-talking-way-too-loud-on-her-phone, whack! Take that dodgeball with your Starbucks non-fat iced mocha diva drink. Hey guy-who-is-always-surprised-to-see-someone-walking-in-the-bathroom-while-you-exit, thump! Sidewalks go both ways, dude. If you read my profound assessment of pick up basketball in yesterday’s blog, you might see how I enjoy categorizing and profiling people. I quite enjoy people-watching and have observed many types of through my airport visits. Here are a few. Security Line Guy completely underestimates the number of bins or bowls he needs. He tries to get everything in one bin until security starts helping him sort his items. Security Line Guy has 6000 items in his pockets. It’s like those scenes in movies where guys are peeling off all their guns, knives, rocket launchers, ammo, (dodgeballs?) and other weapons to make some huge pile. What’s worse than watching Security Line Guy get all this stuff out of his pockets? Putting it back in. While standing next to the far side of the conveyor belt. In your way. Ah, good ol’ Mrs. Oblivious. She hasn’t been to an airport since the 80s. She has no concept of how security works. “What do you mean, ‘Take my shoes off? '” Mrs. O has to go through the metal detector 11 times because she left on her shawl, three necklaces, four bracelets, designer belt that rivals the size of a WWE championship belt and her hair tie (which isn’t even metal but takes it off ‘just in case’). Mrs. Oblivious tries to board during each of the announcements, only to be told that she is in the last zone. Then, she carries her over-sized beach bag on the plane and proceeds to have it slam in to every. single. seat. on the way down the aisle. Somewhere between the gate and the plane, she loses all ability to understand numbers and letters and ends up sitting in your seat instead of hers. You end up switching seats to avoid a scene. You might be picturing Mrs. Oblivious as an elderly woman. That’s not necessarily the case. The elderly have their own category. The Oldtimers have a pretty cool perk, they get to ride on the beep-beep cart. I want to ride on the beep-beep cart! The Oldtimers typically get to board separately from everyone else. Additionally, they can look at you with their eight-decade-old puppy dog eyes while simultaneously letting out a sigh and looking at their bag and immediately you will help them put their bag in the overhead compartment. The Oldtimer wants to talk to you during the entire flight. They don’t care if you have your eyes closed or if you get to the magical 10,000-foot altitude when you can put your ear buds in. They want to tell you exactly where they are going and who they are going to see. Oooh, this guy is good. 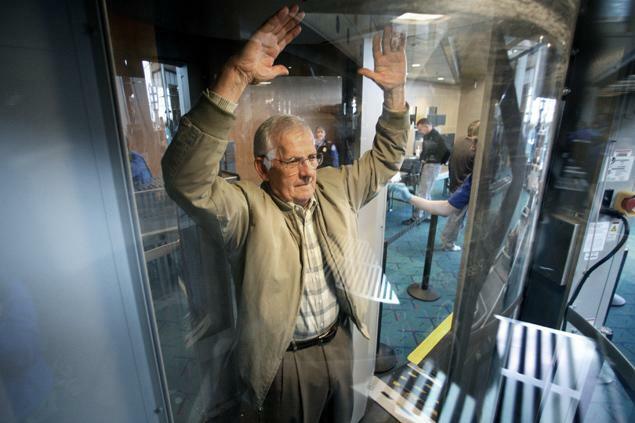 He knows how to get through security efficiently and effectively. His liquids are appropriately sorted and Zip-locked. He knows the gate attendants by name. He has Super-Duper-Elite Status and a Mega-Plutonium card (or whatever is after platinum) with all the airlines. He also hasn’t been home for more than two consecutive weekdays since his Blackberry was trendy. The Professional knows where all the lounges are. He knows which concourse has the Tequileria and the least-trafficked Starbucks. The Professional gets his shoes shined on layovers. The Parent might be the most stressed out person at the airport. The Parent usually outnumbered. It could be a 1:2 mom-kid ratio or a 2:3 parent-kid ratio. Typically, at least one child has to be carried. There are toys all over. One kid wanders off by himself every couple minutes. Cheerios are at your feet. You have compassion for this parent. The Parent needs you to switch seats with them so they can sit with their child. It took The Parent four minutes to walk halfway down the plane aisle because their child climbed on every seat or clung to every armrest on the way. The Parent has to take someone to the potty before the seat belt sign goes off, or right after it comes back on. The Parent triumphantly traverses across the country and doesn’t lose their cool, a kid or their bags. You have respect for this parent. As a member of The Group, you have to all be wearing the same t-shirt. This is done for two reasons. First, it’s so the Group Leader can find all members of The Group. Second, it’s so you have a reason to be happy. People at airports seem miserable all the time. Except for people in The Group. The Group is always going or coming from somewhere awesome. They are with their friends. They have no worries about delays because they are with people they like. When The Group is happy, the rest of the airport travelers are not…because they envy the t-shirt wielding happy people. The Group is loud. They laugh. They play UNO. Their shirts have motivational catch phrases on them. At least one person in The Group has a regular-sized bed pillow with them. They have a lot of electronic devices. Odds are, we have all been one or more of these people. Everyone in these (slightly) exaggerated generalizations has an effect on the people around them. Airports cause some of the most stressful times we encounter. We know and understand this, but somehow we continue to operate as if we were the only ones in the airport. We get frustrated at the person who stops right in the middle of the walkway and angry because it makes us move over a couple feet. We think “don’t you know there are people walking here!” But, really, we don’t even consider that the person might be completely lost and running out of time on a short layover to get home to see a sick relative. We jockey for position while getting off the plane while we have a two-hour layover, but cut in front of the proud parent on their way to see their child graduate college. We even put on ear buds to fake sleeping in order to avoid chatting with some old person who just wants to share their passion for life and their kindness with you. Airports bring out the absolute worst in people…in me. 1 Peter 4:8 reminds us “Above all, love each other deeply, because love covers over a multitude of sins.” As believers, we have to be different. We have to show people that we’re not a stereotype. That we aren’t hypocrites who profess Scripture that talks about love, patience and kindness, but exhibit none of those. Here’s a fun game. Instead of getting annoyed at the people described above and throwing out proverbial dodgeballs, Let’s start a new game. Let’s see how many acts of kindness we can tally from one airport to the next.